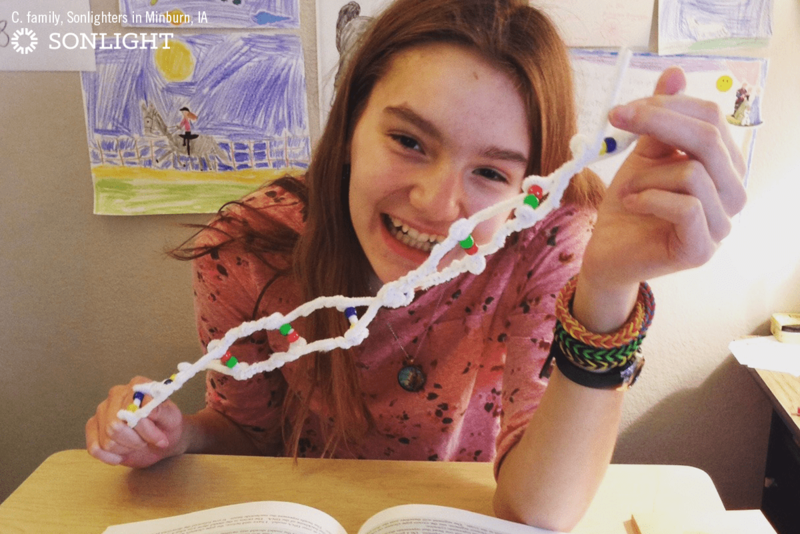 I read this article and wanted to share it with you: 9 Ways to Motivate the Dawdling Teenager to Get Homeschool Done https://blog.sonlight.com/teenager-dawdles.html. Raising teenagers gets a bad rap. Ask most moms and they will let you in on a huge secret—raising and homeschooling teens is one of the most rewarding phases of parenting! You finally start to see the fruit of years of parenting, catching a glimmer of the soon-to-be adults that they are transforming into. 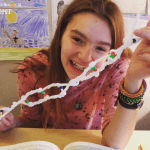 That is not to say that homeschooling teens is without difficulty. Some older kids have a tendency to slack on their homeschool work, procrastinate, or dawdle through the day, getting little done. 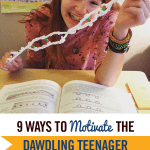 If you have a teen dawdler, don't feel like a failure! 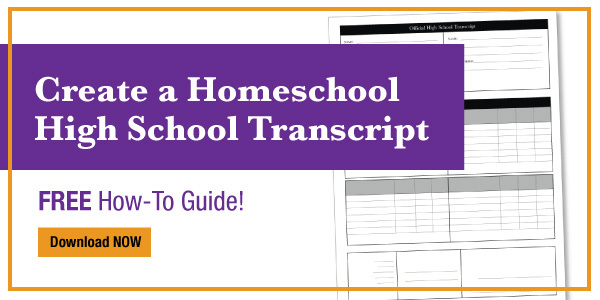 You still have time to instill a strong work ethic and time management skills in these last years of homeschooling. Here is my list of nine methods for dealing with dawdling in older kids. When it comes to dawdling, I've found that the older a child gets, the less effective incentives become. A ninth grader will roll his eyes at a sticker chart or a trip to the zoo. On the upside, consequences seem to become more effective as children mature. And that's why you see consequences in this list whereas I don't use them as much with younger children. Oftentimes I’ve found that when my children are less than fully compliant with their assignments, it’s a sign that I’ve given them too much to do on their own. They may not be ready to have quite so much to do on their own. In these cases, they may benefit from sitting near me so I can see and redirect them when they are getting distracted. 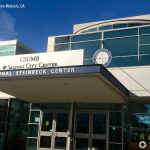 They might benefit from more direct supervision in their lessons or frequent check-ins. It could be they need a hand setting up a schedule or an outline. Once they get help in the area they are struggling with, they usually do well with it on their own, but you may experience a few lapses over the teen years when you need to swoop in and assist again. If you're finding a child struggles with learning and attention span on a regular basis, pay attention to these three key areas of diet, exercise, and sleep. Children who are hungry have a difficult time focusing on mental tasks. Children low on protein and high on sugar and carbs have shorter attention spans. Teens who are fatigued from sports and activities or who don't get enough exercise can struggle with schoolwork. The same goes for a child who stayed up until 2 a.m. reading under the covers or a child fighting their natural circadian rhythm by getting up at 7 a.m. when their natural wake up time is closer to 10 a.m. I've found it necessary with some of my children to monitor their behavior after certain foods because sensitivities do affect behavior and concentration. Foods that affect my children include egg, soy, dairy, and food dyes. 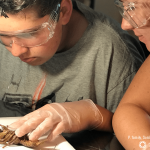 Have your teens start the homeschool day with their toughest subjects under your supervision (or at least nearby presence) before moving on independently with the easier subjects. Getting the hard things out of the way usually will encourage teenagers to fly through the rest. But in some children, saving the hardest for last is more motivating. They will power through their least favorite subject simply to be done for the day. Either way will be effective; it just depends on your child’s personality. Try both and see! Another method I’ve found effective with preteens and teens is to have a set amount of time for school. Once that time ends, they are on free time. However, if they have not managed to finish all their schoolwork by free time, they must complete the rest of the assignments as homework. Knowing they will be cutting into their own free time, as opposed to scheduled school time, provides stimulus to work a bit harder. Sometimes compromise is key. I’ve found that by simply giving my children half the math problems on a page and then setting a timer, I can avoid many conflicts. If they can get them all right in a reasonable amount of time, then they are done because they have proven they don’t need the other half. If they miss problems or dawdle, then I move onto consequences (although I have been known to ignore small errors). Simply having the child correct the problems they get wrong (or didn’t get to do), plus two extras from that page is often enough of a consequence to motivate a child to work quickly without rushing and making simple mistakes. Teens love their technology, their friends, and their independence, so they make prime candidates for consequences. If teens are wasting your time by dawdling through their homeschool, you can restrict one of those three cherished items as a consequence. I tend to try to balance the consequence with the dawdling. For example, if they are taking an extra day to do their work, then I usually ban them from electronics for a day. Or if they are taking an hour to argue with me instead of getting their assignment done, I might decide to have them stay in for an hour that evening instead of going out with friends. We tend to homeschool year-round, so this solution to dawdling hasn’t been used much by our family. But it works for my sister-in-law! When her children dawdle to the point they are frustrating her, she will shut down school for the day and tack that day onto the end of their school year, postponing summer break. 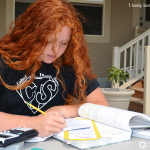 Her children know if they don’t do their homeschool assignments now, they will still have to be done later, subtracting time from their summer vacation. Teens and preteens will often be harder on themselves than you are, so let them come up with a plan for what should happen if they aren’t following through on their work. You'll be surprised to find that they may come up with a plan that needs very little negotiation because it's so reasonable. As a bonus, they are more likely to follow the plan and comply with the consequences since it was of their own creation. These physical tasks, of course, are in addition to their regular classwork, not instead of it. They are still required to do their assignments. Two of my children love the extra activity and find it helps then focus better. Two hate it and thus are more willing to do their schoolwork than extra chores. Either way, it's a win. Consequences are usually not my first inclination for correcting a problem, but they do have their time and place. Used sparingly, they can help reset attitudes get the teen dawdler back to work.